The Writer Mo Ibrahim: Mistakes in THE CATCHER IN THE RYE? Mistakes in THE CATCHER IN THE RYE? I wrote briefly about J.D. Salinger in the first volume of The Allure of Nymphets, and I did a post about him on the The Allure of Nymphets blog, but I watched Salinger (2013), because I hoped that I would uncover some additional material on the reclusive author for volume two of The Allure of Nymphets. And I did get some more details about the famous ephebophile. For example, I learned that when Salinger was 30, he told 14-year-old Jean Miller, "I'd like to kiss you goodbye, but you know I can't." And he told Miller's mother, "I'm going to marry your daughter." Salinger and Miller reunited in Manhattan after Miller turned 18. Their relationship was platonic until Miller took the initiative to make it sexual. The other things I learned about Salinger's ephebophilia I'll save for the book, but I didn't realize that three shootings were associated with the novel e.g., Robert John Bardo's shooting of Rebecca Schaeffer , John Hinckley, Jr.'s assassination attempt on Ronald Reagan, and Mark David Chapman's shooting of John Lennon. I feel a bit like Nabokov, who was not impressed by Dostoevsky, when I write that I wasn't impressed by The Catcher in the Rye. I'm shocked that the novel has sold over 65 million copies and is listed as one of the best books of the previous century. I found the novel to be very bland and not suspenseful; however, I do have two clues as to why it's so popular and why it was associated with two murders. 1. 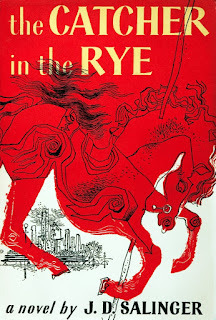 From 1961 to 1982, The Catcher in the Rye was widely censored in high schools and libraries. One of the best forms of publicity for a book is to ban it. If it weren't for the banning of Henry Miller's entertaining Tropic of Capricorn, the novel would probably be obscure. 2. Robert Greene implied in Mastery that the level of effort, emotion, and intensity that a writer puts into his or her writing will be projected to the reader. Therefore, one can project his mindset even when not in the presence of others through his creations (e.g. poetry, art, etc.). 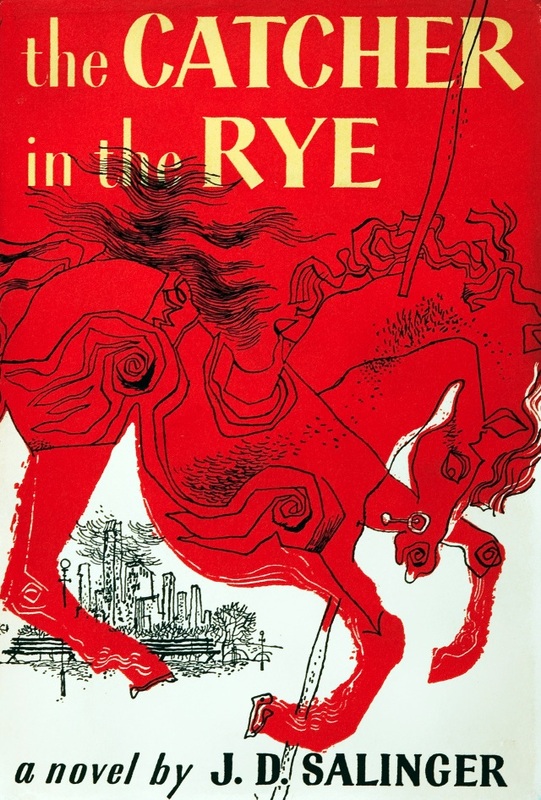 Salinger worked on The Catcher in the Rye during his emotionally grueling World War II tour of duty. The fear and emotion that he experienced on the front lines may have been transferred to his writing and consequently to his readers. Additionally, I was surprised by the number of grammatical errors in The Catcher in the Rye. Admittedly, no man-made book is free of mistakes. And after my books are praised, the comments are often followed by, "But I did notice some mistakes." Nonetheless, I was surprised that a book of this caliber would have so many mistakes. First she told me about some Harvard guy - it probably was a freshman, but she didn't say, naturally - that was rushing hell out of her. First she told me about some Harvard guy - [he] probably was a freshman, but she didn't say, naturally - that was rushing [the] hell out of her. D.B. took Phoebe and I to see it last year. D.B. took Phoebe and [me] to see it last year. I quick jumped up and ran over and turned off the light over the desk. I [quickly] jumped up and ran over and turned off the light over the desk. ... and I didn't have any too much time. ... and I didn't have too much time. The following aren't mistakes, but I don't recall ever reading a sentence with the words "you" and "in" written twice in a row. Theses sentences would probably be marked as incorrect in a MFA program. p. 32. "I mean it isn't too nice, naturally, if somebody tells you you don't brush your teeth." p. 210 "It was all about this play she was in in school." I'm I missing something here, or is The Catcher in the Rye overrated? I don't agree that all of those are mistakes, but there are definitely some in the book. One that caught me was about midway through. The use of "their" instead of "there." I wondered if it was a print error, but as I went on reading, I noticed some more frequently. It was also repeated that Holden was supposed to excel at English. After a while, I thought that maybe those mistakes were intentional. They did seem to increase as his condition deteriorated.